This epic journey will guide you through all that New Zealand has to offer. Experience otherworldly landscapes and get to know the real Middle-earth as beautiful scenery and natural wonders await you. From the glaciers and fjords of the south, to the beauty of the west, and the geothermal activities in the north, there's plenty to discover. We’ve organised the car and caravan hire for you, allowing you to explore during the day before returning to the comfort of your caravan for the evening. The Grand New Zealand tour includes the best of the country, but with so much to see there is a lot packed in. If you’d like to see New Zealand at a slower pace we’d be happy to extend the length of the tour for you. Complete this independent tour in a car and caravan all year round - prices start from £5,099pp*. You can fly to New Zealand from a range of airports in the UK. On arrival in Christchurch on day 3, transfer to your hotel for a two night stay. 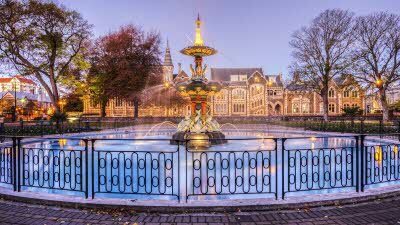 Christchurch is the South Island’s largest city, known for its beautiful public gardens, old world charm and architecture, and its quaint and walkable city centre. Much of this changed in the 2011 earthquakes when so much of the city was lost. However the city is rising to the challenges and it is now home to funky and unique pop up malls, dozens of new buildings, high street, designer and boutique shops, a world class art gallery and museum, and restaurants galore. Many of its heritage buildings have been restored, the beautiful Botanic Gardens remain, and the trams have returned to its streets (some of which offer dinner-on-board tours in the evenings). Today’s journey takes you to Mt. Cook (Aoraki), the highest peak in Australasia. 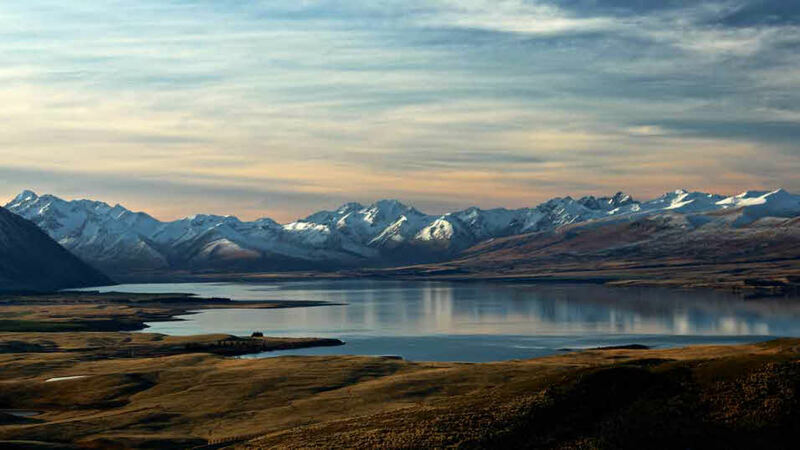 Visit the Church of the Good Shepherd on the shores of Lake Tekapo and take in the wonders of the Mt. John observatory for your own views of this International Dark Sky Reserve. Then stop for a photo opportunity at Lake Pukaki, whose waters are an otherworldly icy blue, caused by the fine particles that float in its cool glacier runoff. There are hiking and walking trails for all abilities on the slopes of Aoraki and plenty to do in Mt. Cook village. The surrounding countryside provided some of the locations for The Lord of the Rings and The Hobbit trilogies, including the Pellenor Fields, near Twizel. Grab a tour book from a local bookstore to seek out the highlights. Enjoy the drive along the Southern Alps to picturesque Lake Wanaka, nestled at the foot of the mountains. Lord of the Rings fans will also know the area as the Misty Mountains. You have 2 nights here to enjoy the views of the Southern Alps, the lake and the local activities. The lake is the main attraction in the warmer months, with plenty of opportunities to get out on the water, whilst in the winter you can go skiing on the mountains. The town also offers good food, wine and shopping and other attractions include the nearby 3D maze. You’re sure to find a warm welcome and lots to do in town at any time of year. Just over an hour’s drive from Wanaka is the alpine resort of Queenstown, a town unlike anywhere else in the country and known as the adventure capital of New Zealand. If you’re after adventure then your options include bungee jumping, jet boating, river rafting and horse trekking. If it’s something quieter you’re after then high tea at the end of Lake Wakatipu, after a leisurely ride on the SS Earnslaw or local wine tasting, might be more tempting. 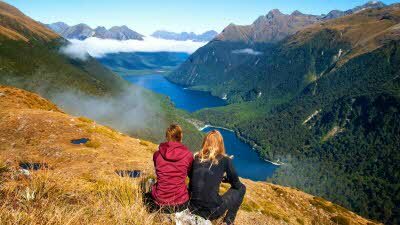 Queenstown also offers many different day trips, from Lord of the Rings scenic tours to full day tours at spectacular Milford Sound, and you'll have two nights to make the most of. You can also visit the nearby town of Arrowtown, a living historic settlement with many stories to tell where you can wander the tree-lined streets of restored cottages and explore gold mining sites. It’s a long road north, but majestic mountain views await you as you travel over to the South Island’s west coast. Along the way we recommend making a stop at Lake Matheson for another glimpse of Aoraki and a chance to marvel at the reflections of this famously still lake. The scenery is lush and green and full of rivers as you make your way up the coast and through Mount Aspiring National Park, where there are day trips and short walks for all abilities. The settlement of Haast is a town with a touch of the wild-west, and another good place to stretch the legs and have a look around. Just north of Haast is Lake Moeraki, a peaceful forest lake with good fishing. From here, a 40 minute walk takes you to the penguin colony at Monro Beach. Then, drive on to Fox Glacier. 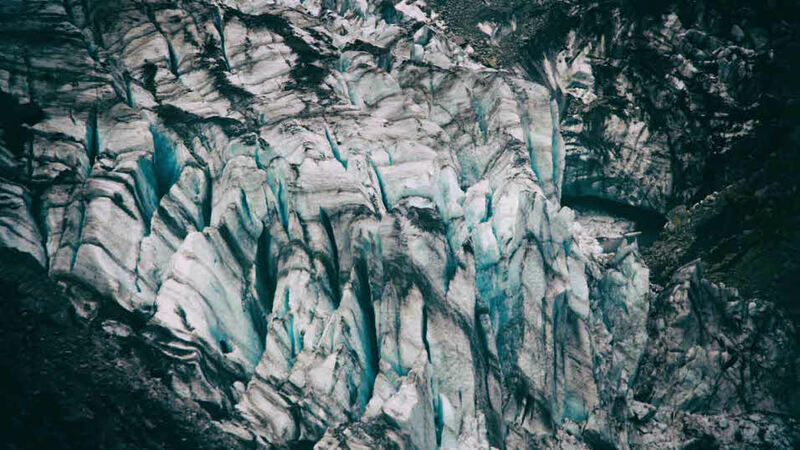 Plan to stay at Fox Glacier but explore its neighbour, the Franz Josef Glacier, as well, the location for the Lighting of the Beacons scene from Lord of the Rings. Fox Glacier, at 13km long, is fed by four alpine glaciers and makes its way downward 2,600m on its way toward the coast. There are numerous walking tracks at different grades of difficulty, as well as professional tours, on foot and by helicopter, available for visitors. Franz Josef glacier is just a short 45-minute drive north. You can walk to the terminal of the glacier in about 10 minutes; alternatively arrange a heli-hike to get on top of the glacier and explore its ice caves. From Franz Josef, make your way up the rugged West Coast, through the old gold mining settlement of Hokitika. Stop here for supplies, a wander through town, and the highly recommended short and easy walk into the Hokitika Gorge for photo opportunities of this beautiful forest and the bright blue waters of the river. 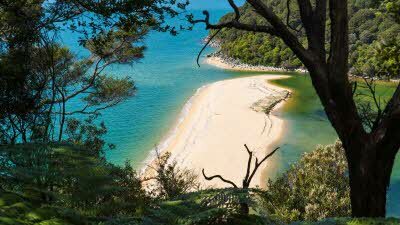 Your next destination is Abel Tasman National Park, named after the first European to sight and name New Zealand, though he never came ashore. 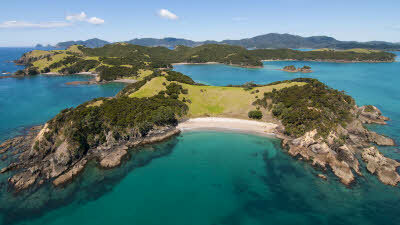 There are easy day hikes, boat trips and some of the loveliest beaches in the South Island to walk and explore. Nearby Nelson prides itself on having the most sunshine hours in all of New Zealand and this must make for happy, artsy, alternative people, which you’ll find plenty of in the town. Nelson has an almost subtropical feel compared to the rest of the South Island, with its pretty white sand beaches, palm trees, and brightly coloured buildings. The streets are full of cafes, interesting art and craft shops, restaurants, a large number of galleries, and historic attractions. It is also home to many a fine brewery to while away an afternoon in. Beyond town are beautiful forests and beaches to visit and get a taste of the beauty of this corner of the country. Plan to spend some time stopping along the bays between Anakiwa and Picton today to enable you to appreciate the beauty of the Marlborough Sounds. Take a boat cruise, do a day walk within the Queen Charlotte Walkway, or have a picnic by a bay. It’s a short drive from Picton to Blenheim, situated in the heart of the Marlborough wine region. Marlborough has a range of activities on offer including bush walks, scenic cruises and fishing and of course you can visit one or two of the local wineries which produce award winning Sauvignon Blancs, Chardonnays and Pinot Noirs. Enjoy the scenic InterIslander ferry that takes you from the picturesque fishing village of Picton across the Cook Strait to New Zealand’s North Island. As the ferry leaves Picton you’ll sail through picturesque Queen Charlotte Sound, making the journey between the two islands an experience in itself. Once on the North Island, you’ll be spoiled for choice of short adventures to keep you entertained on your way from Wellington to Whanganui. 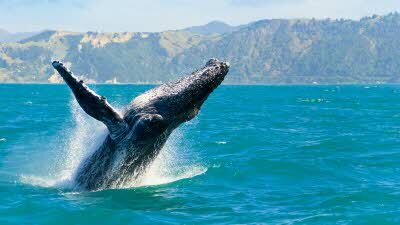 Offshore from Waikanae is Kapiti Island, a nature reserve where visitors can book tours for close encounters with rare birds. In Paekakariki there’s an escarpment walkway and electric tramway, and in Waikanae you’ll find Mangaone Walkway. There is plenty to keep you busy in the river town of Whanganui. For most of its history, the river was the heart of this town, and museums and river adventures attest to this. Take a cruise on the Steamer Waimarie and check out the museums and the River Market. Enjoy the dairy farms, scenic little towns, and views of Mt Taranaki along your route north. At Hawera there are a choice of routes for you. If you prefer beach views and fancy a stop at the town of Oakura, then follow the ‘Surf Highway’ around Cape Egmont. Or you can take the inland route via Stratford and enjoy the green serenity of farmland. 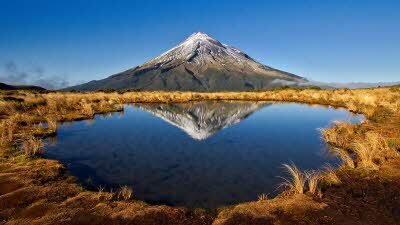 If you would like to get a closer view of Mount Taranaki, there are walking tracks on its lower reaches. New Plymouth has plenty to keep you busy, well fed, and well informed about the area. Be sure to visit the world class Govett-Brewster Art Gallery/Len Lye Centre to experience one of New Zealand’s best-known artist’s kinetic sculptures, exhibited in an impressive and state of the art gallery. Enjoy the drive along the sparkling Tasman Sea as you drive north through seaside villages. There are lots of picnic and walking spots along the way, especially at Awakino. Waitomo is famous for its caves and kiwi house. 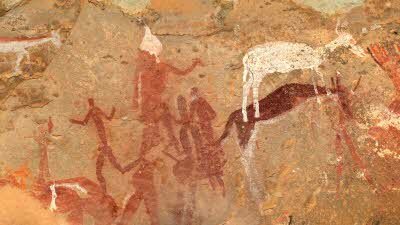 World class systems of limestone caves beneath the surface of this area provide adventure at every level, from serious caving to leisurely walking or boat tours. Try the black (a bit less hair-raising but still lots of fun) or white-water rafting adventures to fully appreciate the wonder of these underground grottos full of stalactites, stalagmites, and colonies of glow worms. The trip north from Waitomo heads right through the dairy heartland of New Zealand. Stop in at Hamilton to see the University, the mighty river, the beautiful public gardens, or some of its museums and galleries. The landscape becomes even more hilly and lush as you head north and enter the environs of Auckland. Here, in New Zealand’s largest city of over a million people, spread across volcanic hills and hugging two harbours, you will find plenty to keep you entertained for a day or two. Auckland is a great place to visit museums, art galleries, war memorials, historic Maori sites, parks and gardens, and climb small volcanic hills. It hosts concerts, the ballet and opera, numerous theatre productions, and offers unlimited eating and drinking options, as well as vineyards. From Auckland head south again for a real Middle Earth experience. 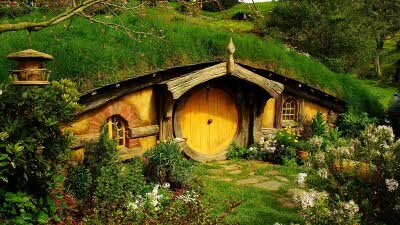 At the town of Matamata you can visit the village of Hobbiton, the Shire built for the Lord of the Rings trilogy, though we recommend pre-booking. They even have a pub with local craft beer, where you can sit and enjoy this other worldly environment after your optional guided tour of the town. 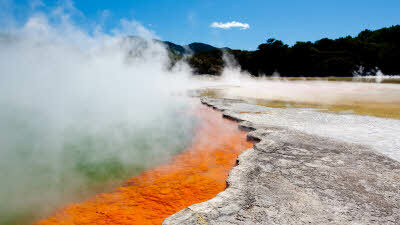 Continue to Rotorua and discover Wai-o-Tapu, a geothermal area with 'Champagne Pool' and Lady Knox geyser, plus Te Puia Thermal Reserve with its boiling mud pools, steaming vents and Pohutu geyser. On the way to Taupo, the scenery continues to be both other-worldly and volcanic and lush, with its pine plantations and signs of forestry all over. If you haven’t had enough of the geothermal wonders of the area, it’s worth stopping at less well-known attractions such as Orakei Korako and Wairakei Power Station. Further on is Huka Falls, New Zealand’s most visited natural attraction. Take a tour down the raging river, or walk in to see the falls on foot. 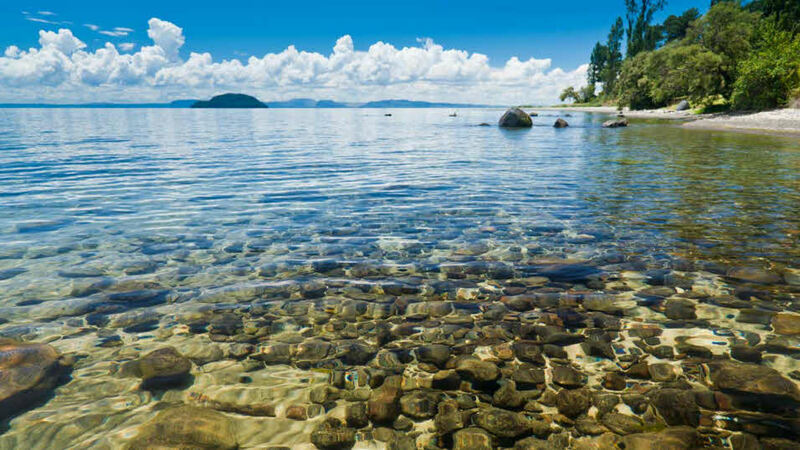 Lake Taupo is actually a massive volcanic crater which formed New Zealand’s largest lake. It also hosts one of the country’s longest and most popular bike races around its perimeter, and there is plenty to enjoy in the village. 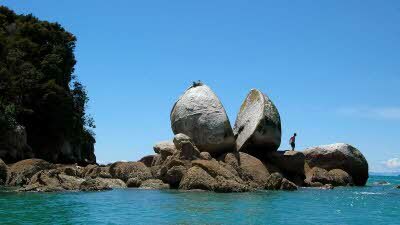 Head out to see the Maori rock carvings at Mine Bay, accessible only by water, for something really different. The long drive to Wellington takes visitors through Tongariro National Park, home to three impressive volcanoes (Ruapehu, Tongariro and Ngauruhoe), as well as the famed Desert Road, ski fields, nature walks galore and scenery that is some of the best, and most representative, in New Zealand. Even better, it is the backdrop for Lord of the Rings' Mordor. New Zealand’s capital city, Wellington, is a great walking city full of character, charm and history. It's home to Victoria University, and the presence of the students lends a young, artistic air to the place. Its hills are legendary and will keep you on your toes, but the relaxing and foot friendly harbour area is never far away. Wellington has shopping, restaurants, nightlife, street art and theatre, beautiful parks, and a gorgeous waterfront. 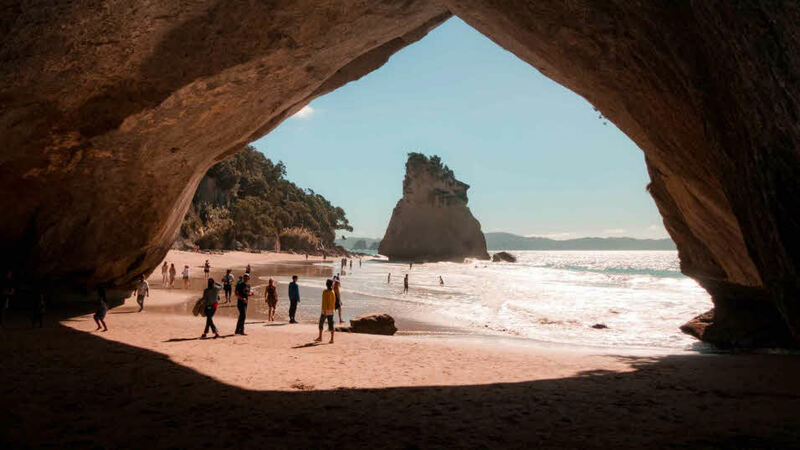 Of particular note are Te Papa, the National Museum, and for fans of the Lord of the Rings movies, the Weta Cave Workshops, where visitors can experience the art and science behind the creation of these award-winning films. Catch the ferry from Wellington back to Picton and head south to Kaikoura. The towns name translates into English as a good place to eat kai (crayfish) koura, and indeed it is! Don’t miss the chance to sample some of the freshest shellfish and crustaceans around. Venture onto the Coastal Walkway and you could see sperm whales, dusky dolphins, fur seals, and albatross play in the waters off shore. Alternatively, join them in their own environment and take one of the many boat tours on offer. Enjoy a leisurely breakfast before heading south to Christchurch when you will return your car and caravan and the head to the airport for your flight back to the UK. Explore the best of New Zealand’s South Island on this 4 week trip around the Island. From Auckland to Christchurch - explore the Wonders of New Zealand on this independent motorhome adventure. Discover snow-capped mountains, volcanoes and stunning coastlines - explore the unique Maori culture on this escorted tour.